Got A Monkey On Your Back? Or More Specifically Writer’s Block? 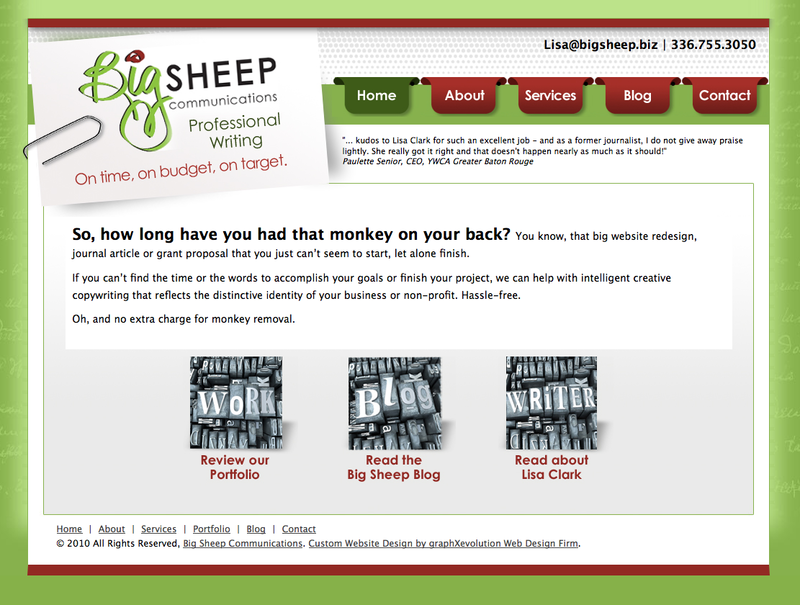 We have just completed a simple website for Big Sheep Communications, a professional, creative copywriter owned by Lisa Clark. In addition to website redesign, Lisa elected to have a content management system and article database added to her site’s back end. Lisa will simply a title, the date, and text of an article to a web form, click submit and VOILA, her article will be added to the portfolio page. No formatting required. “A former lawyer, Lisa is accomplished in the art of writing persuasively and adept at handling complex subject matter. But don’t panic, unlike some attorneys, her writing flows easily and gracefully, illuminating information with clarity and precision. NEW Site!!! Telecommunications Consulting…Sounds Ominous Doesn’t It? 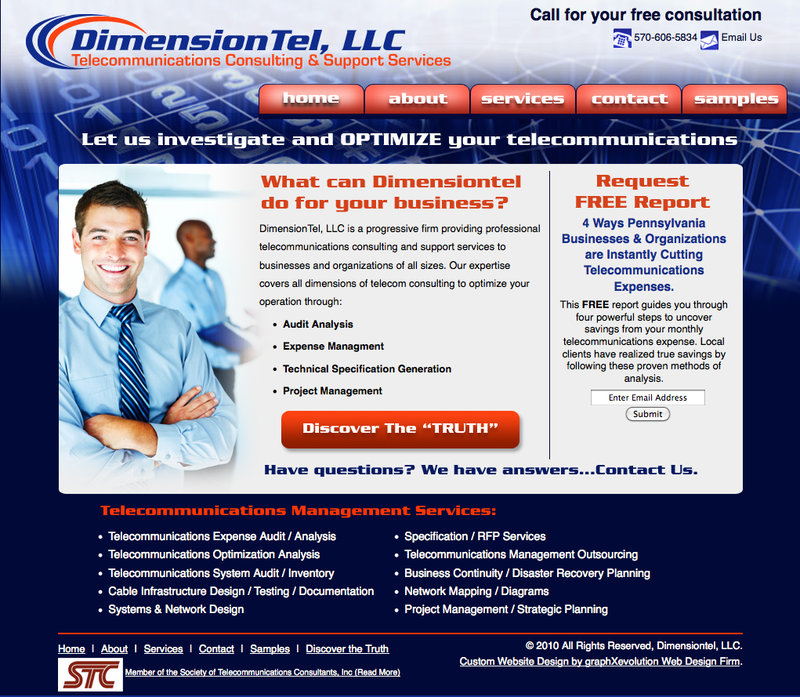 If you have a business along with business telephones, you should give Rick Ostroski at Dimensiontel, LLC a call. They needed a site that was modern and would allow the administrator to upload new reports for visitors to receive. The client also did not require a full content managment system, so we set up a simple form that allows him to alter the name of the report and upload a new PDF, as well as export the email addresses of subscribers for future marketing uses. Nelson C. Lauver was in the market to redesign his website and to incorporate e-commerce capabilities within it. We redesigned the entire site and built in a custom e-commerce solution that allows for digital downloads of stories, purchasing of merchandise, and tons of great information about Nelson. Check out the site…. 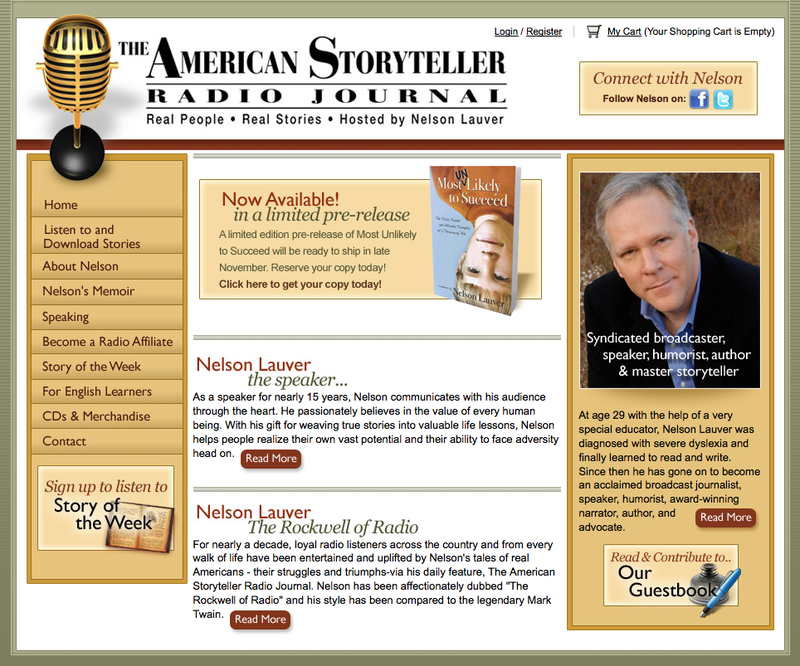 www.theamericanstoryteller.com. 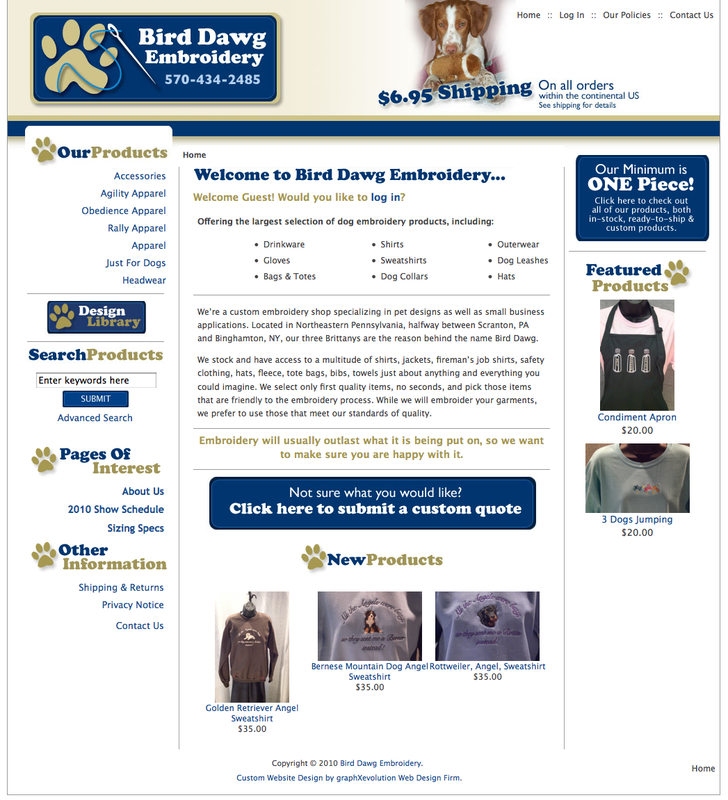 Check them out today….what a great Christmas idea for the pet parent in your life.